The Banana Boat song is a traditional Jamaican mento folksong from the early 1900s. Mento music, which became popular in the era before reggae, is best described as a mixture of Latin; traditional English folk songs; and African rhythms. While guitar and banjo where common instruments used in this form of music, lesser known instruments in a typical Mento outfit were the Gourd Shaker, and Rumba Box. Other common instruments for this form of music included the fiddle, mandolin, ukulele and upright bass. The Banana boat song of this era however, was often sung acapella by plantation workers. 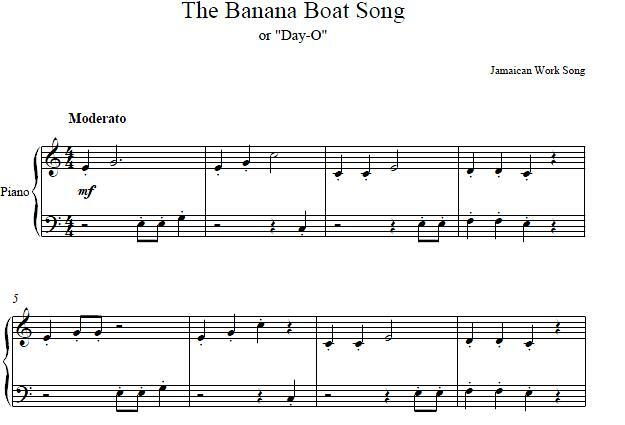 Today the Banana Boat Song would be largely unnoticed, had it not been for Harry Belafonte, who recorded the song under the name Day-O. Although several versions were recorded earlier, Irving Burgie and William Attaway wrote the version specifically for Belafonte to appear on the Colgate Comedy Hour. The song became a hit and the following year reached number five on the billboard charts. Copyright © 2006-2015, Harmony and Melody Studio Inc. All Rights Reserved. 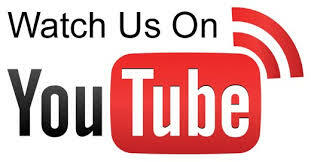 Copyright PianoMother.com. All Rights Reserved. eCommerce Software by 3dcart.